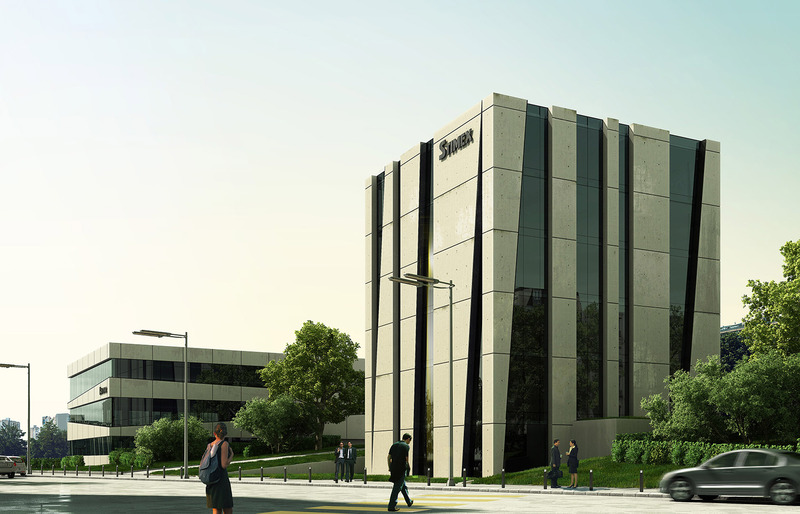 The project consists of the construction of representative buildings for the Stimex and Escana firms. 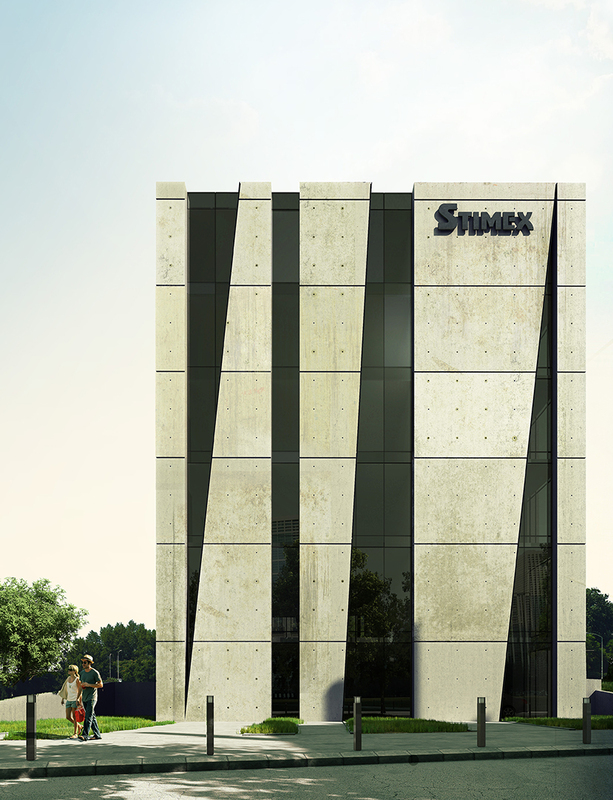 The vertical volume is the newly designed building, incorporating in its self administrative and office spaces. 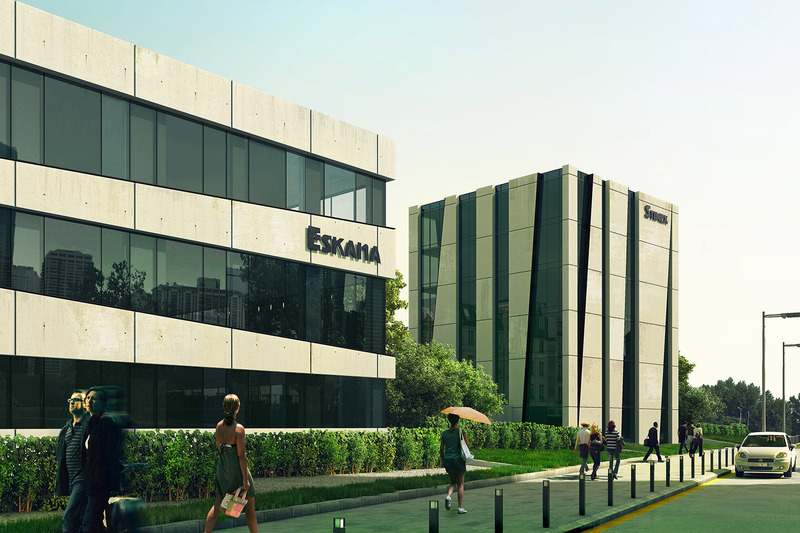 The horizontal volume is a reconstruction of Escana’s existing building. 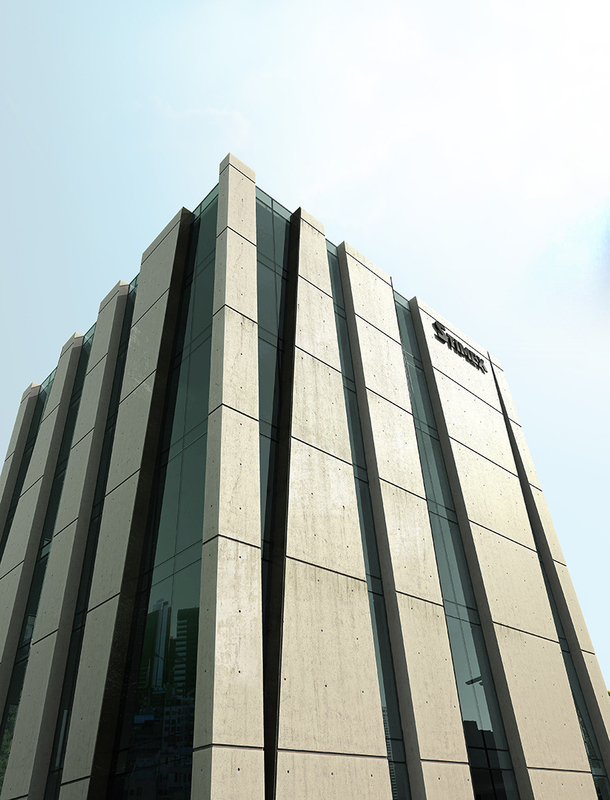 The solution for the facades has a characteristic, modern silhouette that lacks any small detail. Location: Bulgaria, Varna, “Levski” Blv. If you need an architecture plan for a house or a villa, contact architectural studio STARH Stanislavov architects and get a quality design made ​​by our professional architects in Varna.